Welcome to the official site for Clara Coleman! Clara Coleman is a second-generation organic farmer, consultant, writer, TEDx and keynote speaker on sustainable four-season farming and daughter of renowned farming pioneer Eliot Coleman. In 2008 she created Divide Creek Farm – an organic, intensively-managed 2-acre four-season vegetable farm which was located in the Rocky Mountains of Colorado and successfully operated for three years. She produced year-round vegetable crops under harsh winter conditions, using unheated and minimally heated moveable high tunnels and greenhouses. Like her father, she is a proponent of the ‘small is better’ model of farming, advocating business growth through improved efficiency, innovative production methods, farmer collaboration and direct customer marketing, rather than physical expansion. Her sister, Melissa Coleman, is the acclaimed author of the New York Times bestselling memoir This Life is in Your Hands: One Dream, Sixty Acres, and a Family’s Heartbreak published by Harper Collins in 2011 about the Coleman’s early beginnings pioneering the sustainable farming movement of the 1970’s. 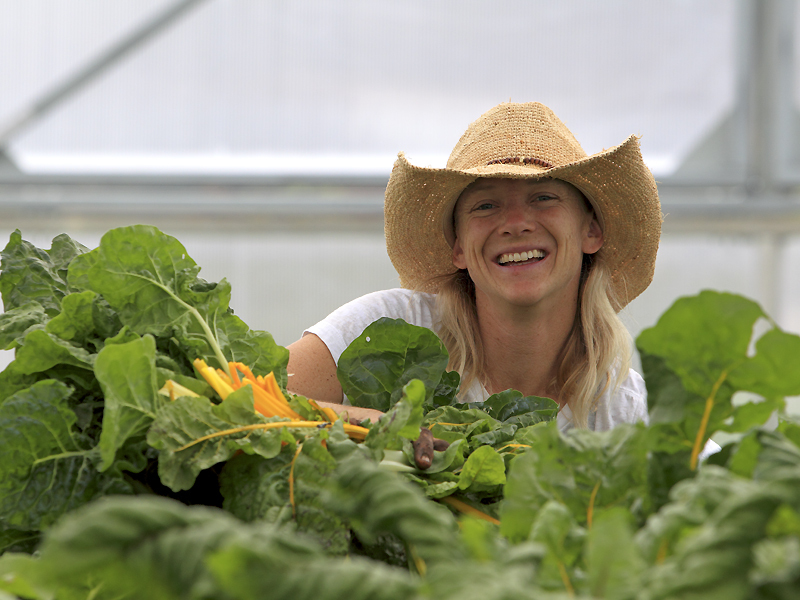 Clara is on the Advisory Board of Food Tank, she was the four-season farm specialist & video blog host for Rimol Greenhouses in New Hampshire, and she has consulted with many sustainable agriculture organizations including Maine Farmland Trust and Johnny’s Selected Seeds. Other clients have included The Center for Discovery in New York, and Wegmans Food Markets where she worked to expand four-season farming methods on their organic farm in upstate New York and for their farming partners who supply Wegmans stores with year-round produce. Clara also spent a year working on creating the ARC Farm – an innovative & collaborative four-season farm model for young farmers. Clara and her two sons now live back at Four Season Farm in Maine, the family farm where she was born and raised. Today she co-manages the farm with her father Eliot and step-mother Barbara Damrosch, in addition to consulting projects, family farm grant projects with land trusts, promoting the work of Slow Tools and Farm Hack to further the collaboration between farmers, engineers & makers of innovative tools, and farming workshops & speaking engagements nationwide as a means to inspire and encourage the next generation of farmers. Clara is passionate about inspiring and supporting the next generation of farmers to create sustainable and lasting farming legacies for generations to come. With four season farming experience in the harsh climates of Maine and the Rocky Mountains, Clara has much to offer farmers and gardeners seeking to provide abundant four season harvests. For more information on consulting services and speaking engagements, please contact Clara through her Contact page.